In our tour of stellar objects crossing the meridian line this month: three objects from the constellation of Hercules. the 'Turtle' Planetary nebula, a open globular cluster M92, and star Alpha Herculis or Rasalgethi (‘the kneeler’s head’). Located about 6500 light-years away in the constellation of Hercules, NGC 6210 was discovered in 1825 by the German astronomer Friedrich Georg Wilhelm Struve. Recording it as a small but bright nebula, we now know that NGC 6210 is a planetary nebula; the last gasp of a star slightly less massive than our Sun at the final stage of its life cycle. The striking high resolution image taken by the HST shows multiple shells of material ejected by the dying star forming structures with different degrees of symmetry, giving NGC 6210 its odd shape. The image shows the inner region of the planetary nebula in unprecedented detail, where the central star is surrounded by a thin, bluish bubble that reveals a delicate filamentary structure. This bubble is superposed onto an asymmetric, reddish gas formation where holes, filaments and pillars are clearly visible. The still-heating 13th magnitude central star has a temperature of 58,000 Kelvin, probably rising to 100,000 Kelvin before cooling and eventually dimming. The nebula is expanding in its inner region by 21 kilometers per second, the outer part at 36 km/s. It is believed the original star had a relatively low mass, perhaps similar to our own Sun. NGC 6210 has a very high surface brightness, making it a good target for small scopes and high magnification. 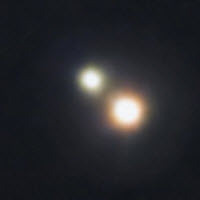 Look for it between two nearly identical stars. In telescopes less than 8 inches NGC 6210 appears as a small, round, blue-green disk. Larger instruments and/or a UHC or OIII filter may reveal a faint outer shell. 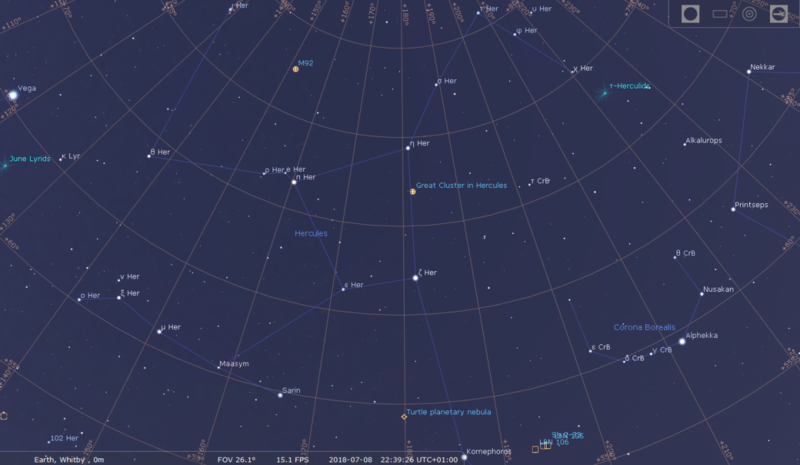 On nights of good seeing the 12.7 magnitude star should be visible at the centre. – Telescopic object –medium difficulty. Crosses south meridian at 11pm on July 3rd. 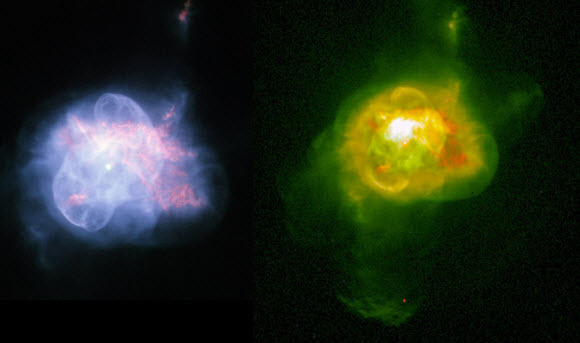 Two Hubble images of the 'Turtle' Planetary Nebula: NGC 6502 in Hercules. 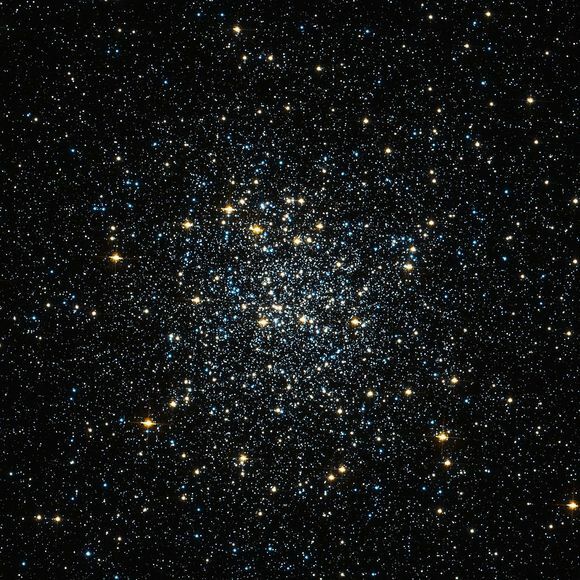 Discovered by Johann Elert Bode in 1777, the cluster was independently rediscovered by Charles Messier in March 1781 and added as the 92nd entry in his catalogue. M92 is at a distance of approximately 26,700 light-years away from Earth, similar to M13 in Hercules. With a total mass of 400,000 solar masses and a diameter of 110 light years it is though rather smaller than its more famous neighbour. M92 is actually one of the brighter globular clusters in the northern hemisphere with an apparent magnitude of 6.3 but it is often overlooked by amateur astronomers because of its proximity to M13. In terms of absolute magnitude M92 is also among the brighter clusters, and one of the oldest, being 14 billion years old having a very low abundance of elements other than hydrogen and helium, what astronomers term its metallicity, characteristic of other globular’s. M 92 is located around 16,000 light years above the galactic plane and 33,000 light years from the Galactic Centre. M92 is positioned north of the Keystone asterism in Hercules, between the Keystone star Eta Herculis and Iota Herculis. The cluster lies about 60 percent of the way from Eta to Iota. 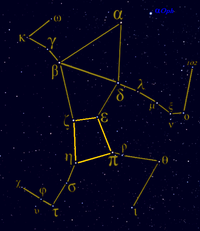 It forms a triangle with the two northernmost stars of the Keystone, Eta and Pi Herculis, which form the widest part of the asterism. In 10×50 binoculars, M92 appears like a blurry star with a brighter core. Small and medium-sized telescopes will resolve some of the stars in the outer regions of the cluster. 6-inch and 8-inch telescopes show an oval-shaped cluster with a bright centre, surrounded by a halo of stars. 12-inch telescopes resolve dozens of individual stars in the halo and throughout the cluster. 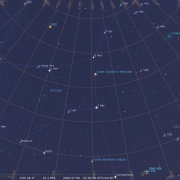 The best time of year to observe M92 is July and early August, when Hercules is high overhead in the evening for northern observers. Telescopic – easy target. Crosses south meridian at 23:00h on July 10th. Alpha Herculis or Rasalgethi, from the Arabic meaning ‘the kneeler’s head’, is a red giant star some 40 million miles in diameter that varies from third to fourth magnitude (2.78 – 3.12). It is actually a triple star system some 359 light-years distant, the main components of which can be separated in amateur telescopes. The primary (alpha 1 Herculis) is a variable red giant, the secondary, a spectroscopic binary some 500 astronomical units away, (1 au = 93 million miles) orbits the primary every 3600 years, and is a blue-green hued star of magnitude 5.6. Rasalgethi is actually approaching us and will be closet in 2 million years time some 218 light years distant. This star system shows nicely in a small telescope having quite a striking contrast. The brighter of the two is the red star, and the secondary the dimmer yellow giant. But visually, in a telescope, the fainter yellow star appears almost green against the red giant. They are 5 arc-seconds apart, so use at least moderate magnification to split them, say 80x or more. Crosses meridian line at 11pm on July 10th.